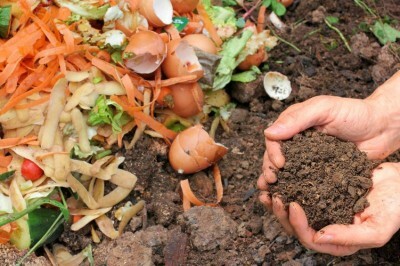 Composting in the Winter - Can it be Done? - Legends Landscape Supply Inc.
Composting in the Winter - Can it be Done? The ambient heat of spring and summer are ideal for composting, but that does not rule out winter composting. Do you really want to give up a quarter of the year as unproductive time? That is three long months of adding organic waste to the trash stream instead of the compost pile. Learn a few ways to improve your composting technique for winter, and you can create rich, black soil for your garden all year round. You can help the microbial population along by shredding everything to four-cm pieces or smaller. This pre-digests the brown and green materials for the cold, slow-acting microbes. The smaller size helps create an insulating blanket, too, for the compost core. Layer methodically, always alternating brown ingredients and green matter. Remember that winter air is dry, too, despite snow and sleet. If your compost pile goes too long without natural precipitation, dampen but avoid soaking it. An excellent method of burrowing for winter composting requires some fall planning. Your goal is to get the ground’s natural insulating properties to protect your compost: Dig We Must—before the ground gets too hard, dig a trench. Fill it to ground level with your compost ingredients, and protect it from wind with straw bales. Control moisture from rain and snow by covering or uncovering the top with a tarp Treasure Can—Convert a plastic trash into a compost treasure can by cutting off the bottom, poking air holes in the top 30 cm of the can’s walls. Before the ground freezes, dig a 30-cm hole as big as the can, then sink the can into it. Insulate the can above ground with straw bales, using dry leaves as “mortar” between the bales. Put some starter compost in the can bottom and add ingredients as they become available, in alternate layers of green and brown. Keep the lid tight when not adding material. Practice vermiculture (worm composting) that is odorless and ideal for indoor use, though the trays need a bit of space. For help getting started with composting in any season, contact us at Legends Landscape Supplies. Written on Thursday, March 19, 2015.